Nominations for the MGLA are now closed. The Mallory Gilbert Leadership Award annually celebrates and recognizes an individual who has demonstrated outstanding administrative or managerial leadership within the Canadian theatre community. The award also includes a protégé, chosen by the Award winner, underlining the importance of skills and knowledge transmission in leadership building. The Mallory Gilbert Leadership Award was initiated in celebration of PACT’s 30th anniversary in 2006-2007 and was named in honour of Mallory Gilbert. Ms. Gilbert was one of Canada’s most respected arts managers. 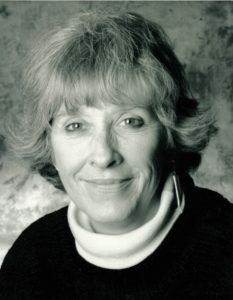 She was Tarragon Theatre’s General Manager for 34 years, and was also one of the founders of PACT. Ms. Gilbert served on PACT’s Board for 20 years (as President from 1989 to 1993), and was the recipient of a PACT Honourary Life Membership in 2005. By mentoring countless aspiring arts administrators, she shaped the careers of many of Canada’s theatre leaders and encouraged the creation of exciting new theatre ventures. Ms. Gilbert passed away in 2019. She is dearly missed by Tarragon Theatre, PACT, and the Canadian theatre community. The Mallory Gilbert Leadership Award Selection Panel is composed of a combination of PACT Honourary Life Members, respected leaders of Canada’s national theatre community and past recipients of the Mallory Gilbert Leadership Award. The Selection Panel reviews all nominations and selects one winner, judging nominations against the eligibility requirements (see nomination form for full eligibility requirements). At its discretion, the Selection Panel may choose to grant no award or multiple awards in one year. All Selection Panel deliberations are strictly confidential. We gratefully acknowledge previous support for the Mallory Gilbert Leadership Award from Tarragon Theatre, who sponsored the award for the first five years, and the Metcalf Foundation, who supported the award from 2012 to 2015. Please consider supporting the Mallory Gilbert Leadership Award by visiting our donations page. For more information, including how to nominate someone or eligibility criteria for the award and selection jury, contact Membership & Communications Manager, Mirette A. Shoeir.